If London was broken into postcode area pieces could you fit them all together again? And how quickly and confidently? 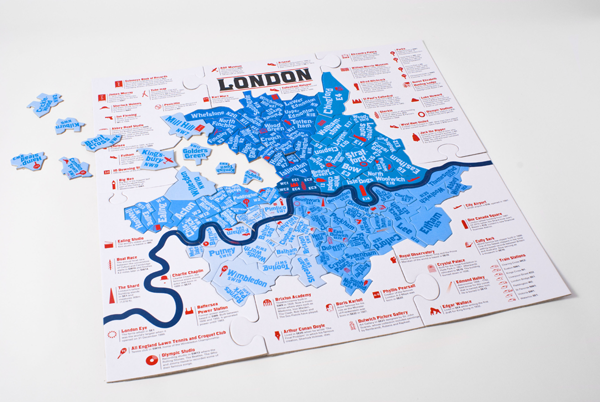 Find out this Christmas with the 120 piece London Postcode Jigsaw Puzzle. It's sure to keep the London nerd, postal worker or puzzle fan in your life occupied while you catch up on Strictly and is also a handy tool for giving your little Londoners a head start in city geek training. Made by Ding Studio, it's available from the National Gallery shop priced £15. UPDATE: Stanfords and Paul Smith are also selling the puzzle online.